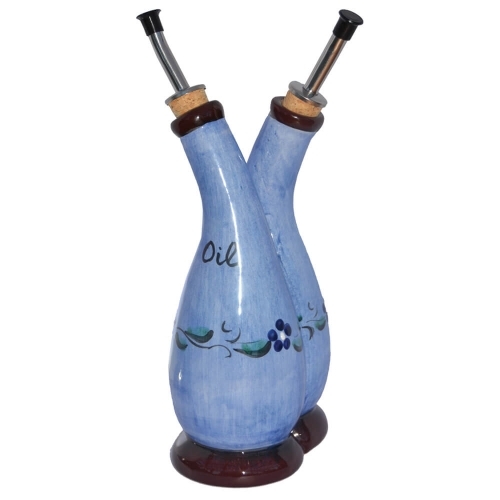 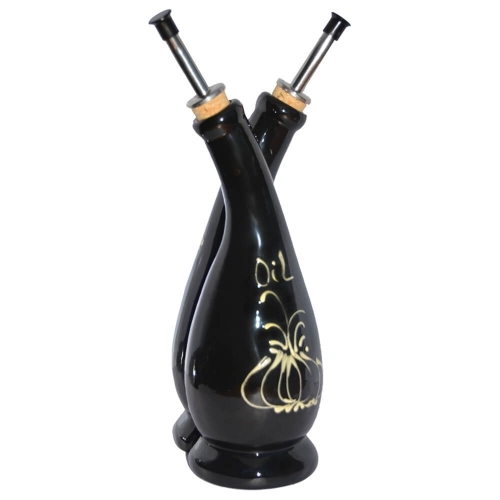 Accessorise your dining table with this stunning Oil & Vinegar Bottle! 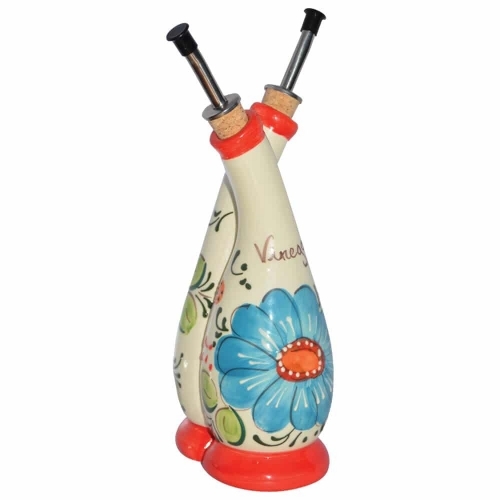 One bottle, one stylish design, two condiments! 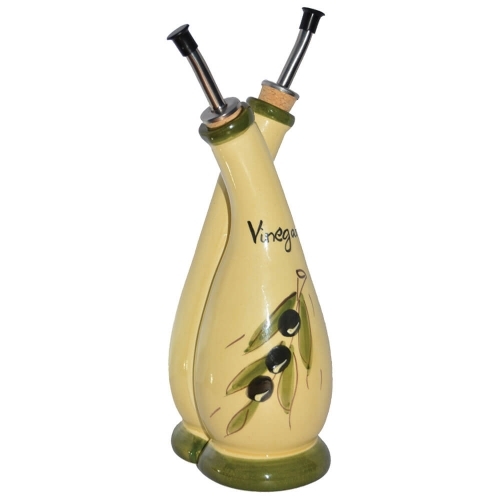 This Little Spanish Oil & Vinegar bottle combines centuries old techniques with a modern design, resulting in a contemporary masterpiece that transfers olive oil and vinegar into a beautiful addition to your kitchen or a unique gift for any occasion. 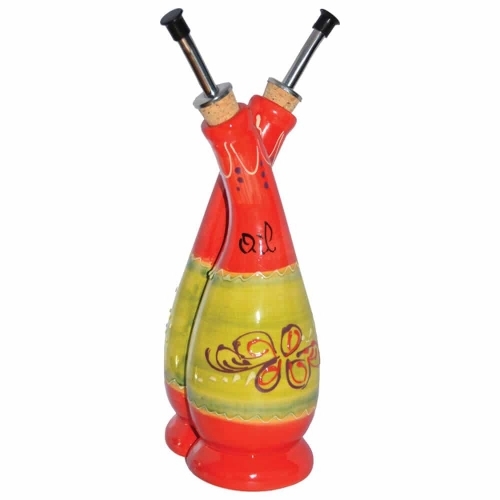 A pouring bottle for salad dressings or special infused oils, this hand made piece is both practical and aesthetic, in a refined and colourful style. 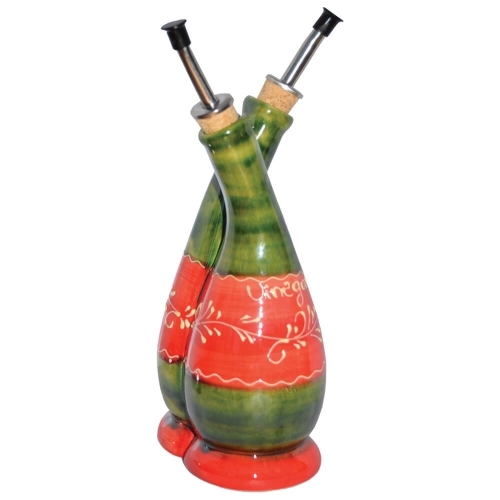 Each piece is truly unique. 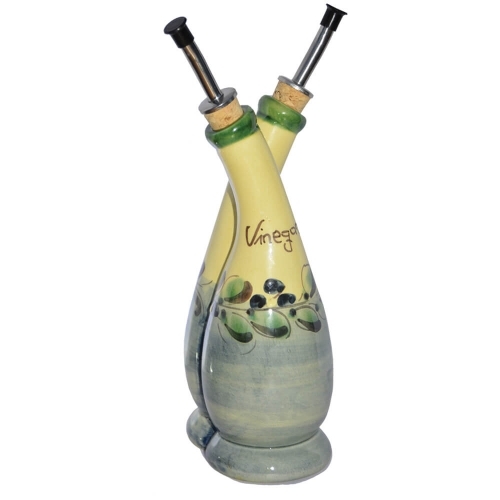 These bottles are very light and hold well in one hand. 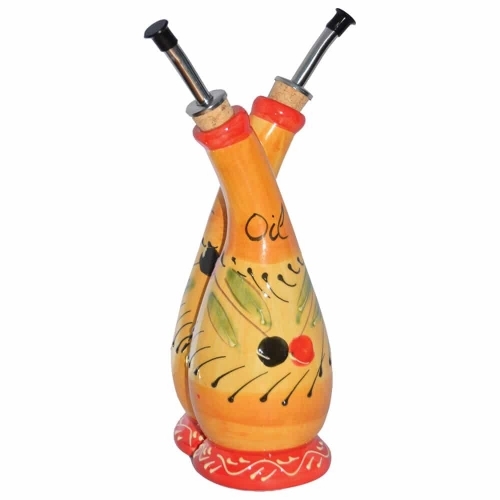 The Little Spanish Oil and Vinegar bottle will bring a splash of colour and the Mediterranean to your table.